WARNING: THIS IS THE FOURTH BOOK IN A SERIES. IF YOU HAVEN’T READ THE FIRST, SECOND, AND THIRD, THIS REVIEW WILL LIKELY SPOIL YOU FOR EVENTS IN ALL OF THEM. Disclaimer: I received a free copy of this book through Tor’s sweepstakes, and decided to review it for release. This has in no way affected my opinion of the book. Getting just the right mix of familiar and new after several books in a single series can be rather tricky. I’ve seen plenty of authors do it poorly, and either end up with many quite repetitive books—such as Redwall—or a series of highly different books that share almost no connections, though I’m having a hard time coming up with an example right now. Dan has managed to do it right. One of my biggest complaints with I Don’t Want to Kill You was that it felt too much like the previous two books, at the beginning, though that changed by the end. Here, we’ve got the same story, but told quite differently. Instead of John going at it himself, he’s got a whole team, and he has to, at least to a small degree, fit in with them. This presents a whole new slate of problems for him, and it’s very interesting to watch him struggle with them. Other parts of the plot feel familiar, though, so Dan never gets too far away from his initial premise: There are demons out there, and we have to kill them—before they kill us. (Note: Yes, there is new terminology in this book, but to avoid any spoilers, I’m sticking with the old terminology for the review.) The scale is larger, not only for John’s team, but also for the demons. More, meaner, harder to kill. I am left wondering how Dan is going to raise the stakes for yet another two books, but I have no doubt he’ll be able to do it. The new characters on the team do more than give John someone new to struggle against—and occasionally think about killing. They’re an interesting, diverse bunch, with a lot of shady backgrounds and easily aroused tempers. I only wish I’d had more pages to get to know them in. Like all of Dan’s books I’ve read so far, this one comes in at around 300 pages, and that feels, to someone used to 500+ (or even 1000+) page epics, to be far too short, but he tells a satisfying, full story. I cannot talk much about Brooke or the romance side of the book without giving major spoilers, so I will simply say that I was pleased with how it was handled. The beginning of the novel was quite a shocker. Again, saying much more would be another spoilers (There are a lot of twists and turns in these 300 pages! ), so I’ll simply say that not everything is as it seemed at the end of the previous book, and even for those things that were, well, we’re months into the future now, so things are bound to have changed. Despite that, the book flowed well from the previous one, and while the books are supposedly plotted to be a pair of trilogies, with this being the first book of the second trilogy, and two more planned, but it really feels like a single series, with a slight time-jump in the middle. Of course, I may have been biased by reading I Don’t Want to Kill You… Yesterday, so take that with a grain of salt. 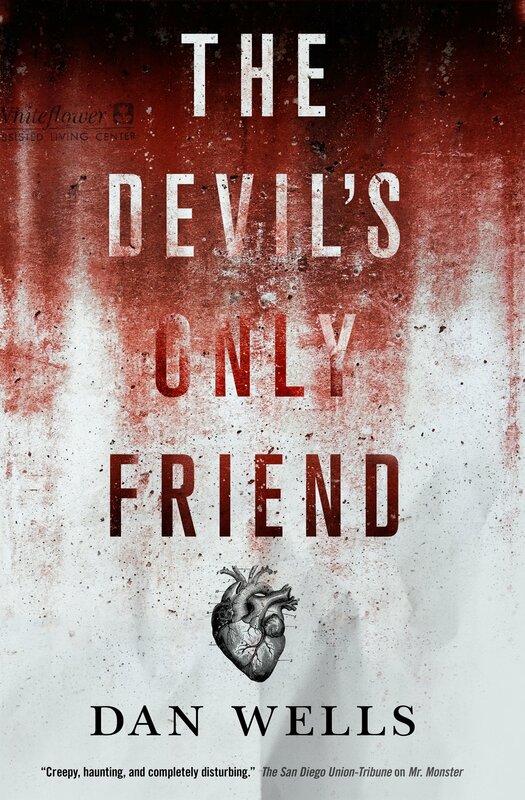 In summary, The Devil’s Best Friend is an exciting new development in the John Cleaver story that begins to open us up to a larger world, bringing in new teammates and enemies, and shifting our perceptions of characters we thought we knew. There are lots of twists, and while nothing was supremely exceptional to me, I highly enjoyed this book and give it a solid four of five stars, as a worthy continuation of a great series.